MS100 LocoNet PC Computer Interface-RS232 MS100 RS232 Computer Interface for connecting LocoNet to your IBM compatible PC. The MS100 Computer Interface is designed to let a computer with an IBM compatible COM, or RS232 communications port, monitor Digitrax LocoNet. Application software running in the computer can then interpret the activity on the LocoNet and report back to the user via the computer screen. The MS100 is a signal level translator between LocoNet and a 25 pin DB25 style RS232 port. MS100 Features: Computer Interface for use with IBM compatible PCs. 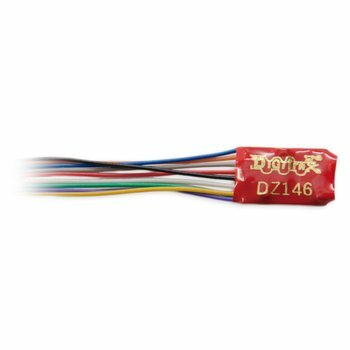 Connects to COM or RS232 communications port Allows you to control LocoNet compatible devices using 3rd party software Please refer to the documentation of the third-party software for full details of the features and capabilities of the optional software you have purchased. 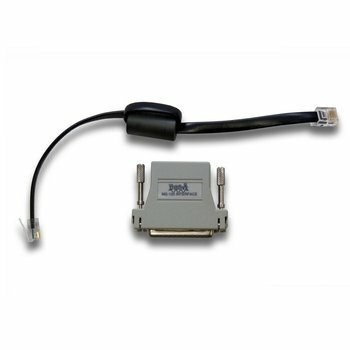 Be sure the software that you choose it "LocoNet Certified or Compatible" Works as a signal translator between LocoNet and a 25 pin DB25 style RS232 port For IBM compatibles with only a 9 pin male DB9 type COM port connector, you can use a DB9(female) to DB25(male) adapter commonly sold in computer stores to make this conversion to the regular DB25 style COM connector. Be sure you are connected to the correct COM port and that you have it set up as required to match the settings needed by your software package.